1. RLB Productions refuses to accept any projects that are contradictory to Christian principles, values or life-style. 2. RLB Productions requires as contractual agreement on all projects and a nonrefundable down payment of 1/2 of total cost on all RLB Productions projects. 3. RLB Productions will not release any projects until project is paid in full. 4. 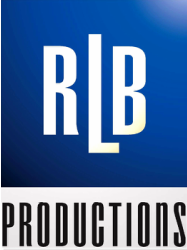 RLB Productions believes its rates are reasonable, based upon the time and experience involved on each project, therefore negotiating on rates will not be acceptable. 5. RLB Productions reserves the right to make decisions in the best interest of the project. Any overriding decisions made by the client, therefore waives the responsibility of the quality and results of the production. 6. It is not RLB Productions intentions to change or rewrite any said song. RLB Productions will identify any musical deficiencies in terms of song form and structure (arrangement), chord progressions and melody. Recommendations shall be made to enhance the quality of the composition. 7. RLB Productions also reserves the right to terminate the project if the quality and results of the production does not meet RLB Productions standards, and/or the project is not suited for RLB Productions, and/or the working relationship between RLB Productions and the client is not conducive.